Folding door systems are a recent design trend that is here to stay. These doors are usually made of 3-4 glass panels that fold to one side allowing you to open a room to the outdoors. They are an excellent way to enjoy your view yet stay inside during cooler months. And, in the summer, they provide an outdoor extension to your home. You may have seen these doors in high end homes in the past but efficiencies in design and an increasing number of manufacturers are making them more affordable for the typical homeowner. Larger systems, those with up to 6 moveable panels, require a strong header above the door to carry loads from the roof. This makes them something that needs to be planned as part of a major remodel or new home design. 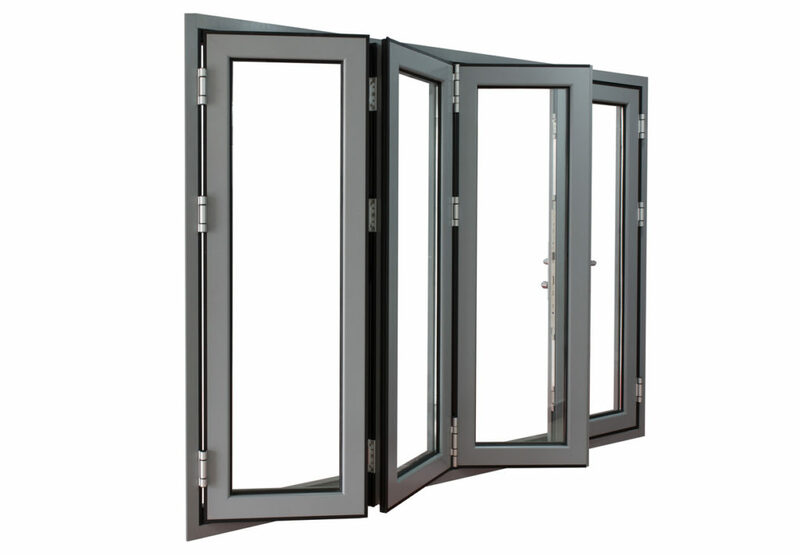 However, the good news is that many suppliers now offer this system in a simple bi-fold option that can be used as a replacement for your existing patio door. If opening up one side of your house to the elements seems daunting, even in the summer months, you might consider installing a smaller system in your kitchen in place of a regular window. The ability to fold the window to one side creates a large opening for serving and adds a touch of elegance to your summer barbeque. The folding door systems are available with the latest high-tech glass and weatherstripping so you won’t compromise on energy efficiency and they come with the durable hardware meaning the sliding and folding mechanisms will hold up long term. Moveable glass walls are a bit of affordable luxury. Feel free to contact us if you think a folding door system is right for you. We love helping our customers create a more beautiful home!